charging the batteries of the tracker. All kinds of sensors can be added to the tracking hardware. So far the most valuable sensor is the accelerometer, which is actually a kind of movement sensor. This sensor makes it possible to analyse movements in 3 dimensions and from these the energy expenditure of the animal. For diving animals there are additional pressure sensors and for other applications a magnetometer and/or gyroscope or combinations in one chip could be good to have. c) sending the data periodically by means of some kind of modem, which can be a GSM (cellular), satellite (e.g. Iridium, Globalstar) or Long Range RF module. The data of the loggers need to be offloaded to a PC after recapture of the study animal or by retrieving a dropped off collar from the field. Both other techniques allow for online sending and downloading data, but also for sending new settings to the animal tracker (e.g. for more or less GNSS fixes per 24 hr). IWS offers state-of-the-art standard and custom-made tracking devices -shortly called ???tags?? ?- for any wildlife study which eventually benefits wildlife conservation. Most of the GNSS related hardware has been designed and produced by ourselves or our partners and is offered to you for a competitive and very friendly price. Our team has developed its own versatile tag, settings and server software with an open source mapping interface for showing the data online on maps, in tables and in graphs. The data are securely stored in databases. On request we can change or add functionality. We also provide classic VHF transmitters, which ?? ?like the GNSS tags??? can be externally attached as collars or light weight back packs. VHF tags can be safely implanted. We have experience with such. Devices with GNSS receivers cannot. See for pro?? ?s and con?? ?s of tracking systems table???.. Tagging animals with transmitters is invasive and with regards to animal welfare should be done with the greatest care based on a vast experience. We have that experience and we can offer professionals who can do such for you in co-operation with local veterinarians and/or under guidance of well-known wildlife vets. 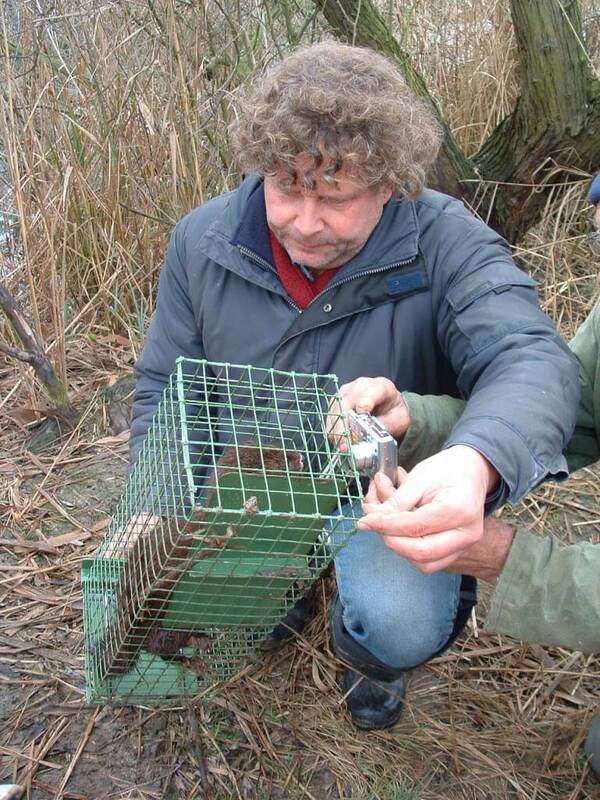 It should be well understood that nowadays in most countries there are special animal welfare or ethical review committees which firstly have to judge and approve your trapping, tagging and release setup within the scope of your intended study. These procedures can be very time consuming, but pay off in the end for a better setup, even better results of your study and moreover the welfare of your study animal. An important part of this is having a sound and very detailed protocol for a) trapping, sedating and tagging before the release, b) the actual release and c) the monitoring of the animals after their release back into the wild. From our experience we can help you with such procedure at any stage. When it is possible to trap the animals we use the best materials for the species involved. We always use VHF, cellular (GSM) or satellite (Iridium or Globalstar) trap transmitters which allow us to be very soon at the trapping place after capture of the study animal. This is of great importance with regards to animal welfare and specifically preventing stress and trauma. Besides trapping animals there are other ways of deploying tags to animals like using a cross bow with special blunt arrows or by delivering the tags by air using a drone. Creativity is one of our capabilities which we like to share with you.